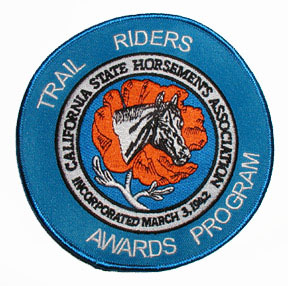 The Trail Riders Awards Program was established in 1988 to recognize and honor the trail rider who is the foundation of the California State Horsemen's Association (CSHA) and to encourage the use and maintenance of riding and hiking trails by the members of CSHA. 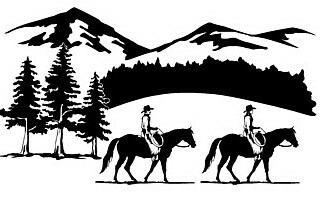 Riders keep track of the number of HOURS they trail ride or work on trail maintenance or construction and send a copy of the log to the program chair. It's that simple! It does not matter how far or fast you go, just the number of hours you spend on the trail. Any time spent out on the trails, whether alone or in a group, counts toward awards. Also counted is any time spent on trail maintenance or construction. See more information on TRAP! Click Here to Renew or Join Online! Please note we were having problems with the on-line renewals. But I believe I have fixed the problem. The Add to Cart and View Cart buttons should be blue! If not please refresh your page. 2018 Hours reported as of 11/1/18 Total 4,330.75! If you have not sent in your hours please send in ASAP! Awards and Chevrons Earned By TRAP Riders! Addresses for Rider Logs & Registration Forms!!! Several pages on this site are in pdf format. You need Adobe Acrobat Reader to view them.